All ready for Pepsi IPL 7? Afterall we 're a cricket crazy nation!Right..? But I am not that cricket crazy gal,but when it comes to IPL,I am all excited to watch it with my brothers and I make sure I dont miss a shot.And for this I need to do lots of arrangements in advance. I am gonna share the craziest things I did to watch all cricket updates without missing a single shot. Firstly let me tell you that I love eating and I keep my pepsi,pizzas,lays,chocolates and golgappas with me so that I dont have to move anywhere in between the match.I complete all my work well in advance to enjoy the matches without any tension of completing any work.I remember it was my best friend's birthday and on the same day I had to watch the match.Both the things were important for me,and I could'nt afford to miss any.So I came up with this crazy idea to celebrate my friend's birthday one day before.I invited all our common friends and celebrated her birthday one day before.Not only this there are many things I have done everytime I had to watch my favourite matches. ZIP CLIPS-Quick videos that capture key match points in real time. ~It has got ACTION RECAPS~to catch up with the match quickly and completely,no matter when you come in. ~It has got INFOGRAFIX,informative snippets with a visual twist,for your entertainment. ~DEFERRED LIVE,Free video stream of the match with a 5 minute delay. FASTEST SCOREBOARD~A scoreboard that delivers faster than anyone else.Well thats most important for every cricket fan to know the live scores on time.We dont even hesitate to ask scores from strangers to when it comes to cricket madness. 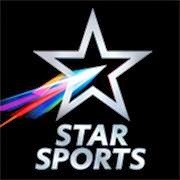 All thanks to new STARSPORTS.COM which has really got very useful new features.I am a big fan of Starsports.com too. "So I came up with this crazy idea to celebrate my friend's birthday one day before"
Great post.. Love the way you presented it. All the best for the contest.